Do you need a Hosting account separate from a Website? A website sits on a Hosting account (servers), so in order to have a Website…you have to have a host. Again we have to look a the ways to build a website, in order to determine if you are going to need a separate hosting account. Most of the free website builders, and template website companies, offer hosting with their website building tools. However, if you are planning on a Wordpress, or Do-It-Yourself type website, you are going to need to get your own hosting account. Online you will see THOUSANDS of Hosting companies and tons of “review” sites going through all the hosting options and telling you the pros and cons of each…It can be very confusing. So, instead of doing the same thing here I am simply going to tell you which ones are the best…in my professional opinion. Highly recommended HostGator for use with the Wordpress, Do it yourself and Professionally Designed methods of building a website. In the admin, HostGator offers you the use of their “SiteBuilder”, HOWEVER if you are looking to use this for the builder, then use one of the Free Website Builders or Template options, as the SiteBuilder at HostGator is really really generic. 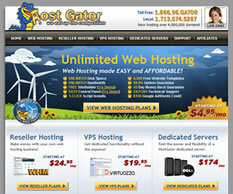 HostGator is actually the hosting provider I have been using for my web design business and personal use for the last 2 years. 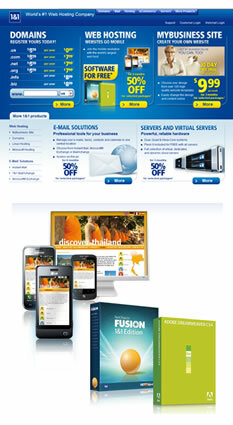 They are a professional hosting company and you get direct access to every aspect of you hosting environment. While they are not the cheapest, they are very reasonably price, and the customer support is second to none. The chat support work perfectly and usually has you answered in a couple of minutes. This only includes 1 domain. So make sure you will not want other domains pointing to this account. If not, then this is a great plan for the money. Gives the option of multiple domain names or sub-domains pointing to your site. Meaning if you have two domains (ex. toddssportscenters.com and toddsportscenters.com), you can have both of them point to the same website with this plan. This is really overkill and I am assuming you dont need SSL and Toll-Free numbers. These are services you can get anywhere and add later when you need them. Excellent host for Free Builder websites, and Do-It-Yourself websites. Recently 1&1 Hosting has undergone a change for the better. They have been around for years and I have used them off an on. They have been a good host and extremely affordable. However, there are now 2 key features that make this host stand out. This software allow you to optimize your website for mobile delivery. Very trendy as more and more smartphones are web enabled and accessing sites on the go. This software will help your website display properly on a cell phone resolution. I have personally used both of these two software tools and will tell you that both are the best tools you can use. NetObjects Fusion ( I have used since 1999 version 2) is a true What-You-See-Is-What-You-Get editor. Meaning, you place the content on the page and the editor will wirte the code to make it appear the way you want. Very easy to use and one of my number one choices for Do-It-Yourself web design. Adobe Dreamweaver is THE tool for web design. However, it has a very steep learning curve. There are plenty of videos (YouTube) on how to work Dreamweaver, however I would not recommend starting from scratch with Dreamweaver. That is for professional development. If you choose to use 1&1 Hosting and would like to use Dreamweaver, I would suggest you take the template or WordPress method and simply use Dreamweaver for modifications. $6.99mo for 12mo. ($3.49 for first 3 months) – PERFECT FOR NEWBIES!! I Only name the two above so as not to confuse you. They are the best and you wont go wrong using them. There are many other options out there for hosting so if you have done a little research and found the following host, here is the order I would put them in. They are all good host and I have not problem recommending them…as runner ups to the two above. The following I do NOT Recommend for Separate hosting. I will continute to update this list to make sure it stays current. Im sure there will be others that complain aout the simplicity of this post or with the recommendations. But, after years of expeicence with most of them, these are my top recommendations for you to get a seperate host for you new website. Again, if you are looking for a great host for your WordPress, DIY or Professionally built website, I would highly recommend HostGator and 1&1 Hosting. This is actually the hosting provider I have been using for business and personal use for the last 2 years. While they are not the cheapest, they are very resonably price, and the customer support is second to none. The chat support work perfectly and usually has you answered in a couple of minutes. They currently have over 500 video tutorials.